The good news about deep fryers is you don’t have to spend a lot of money to get a good one. 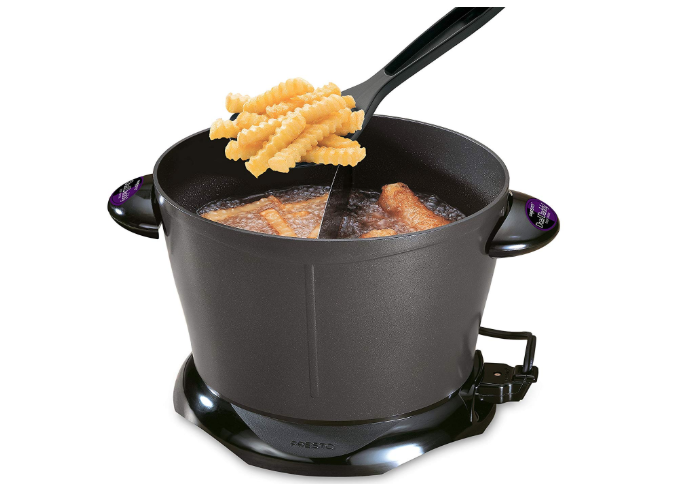 The Presto DualDaddy Deep Fryer is a prime example. In addition to its unbeatable price, it can fry up to eight servings of food with just eight cups of oil. It features two sections, meaning you can fry two different types of food at once.